Ratnamani has a dedicated facility for the manufacturing of Stainless Steel Welded Tubes using TIG and LASER Welding Technology. The manufacturing facility is equipped with state of the art Coil Slitting Line that plays an important role in manufacturing welded tubes. Ratnamani has new generation Tube Mills using On-Line Bright Annealing, On-Line Eddy Current Testing and Two Axis Dimension check including ovality. Ratnamani has a facility of High Speed Draw Benches for the manufacturing Welded and Cold Drawn Tubes in Austenitic and Duplex Stainless Steels in longer length along with Off-Line Bright Annealing, Off-Line Eddy Current Testing, Off-Line Ultrasonic Testing etc. 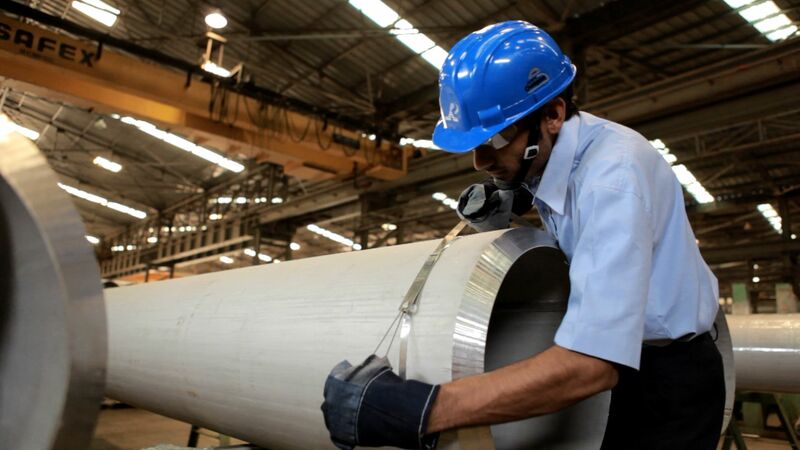 Ratnamani has the capability to supply tubes with lower residual stress values, which plays an important role in service life of High Pressure Heat Exchanger Tubes. Ratnamani manufactures Austenitic, Super Austenitic, Ferritic, Super Ferritic, Lean Duplex and Duplex Stainless Steel Welded Tubes. Ability to supply tubes with stringent NDT Testing, Special Chemistry, and Lower Residual Stress values, OD Polishing, closer Dimensional Tolerance, and higher Corrosion Resistance etc.